NIKE LEBRON 11 PE "CHRIST THE KING"
We've seen a lot of High Schools and Colleges, getting LeBron 11 PE's. This might be the best LeBron 11 PE yet! This is the color way of Christ The King High School in Queens. You can see the upper of the shoe takes on a maroon. 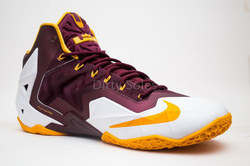 We haven't seen maroon on a LeBron shoe in awhile! 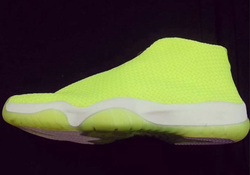 The swoosh, lining, LJ Logo and outsole features a golden yellow. Finally, we see the Hyperposite is in white. 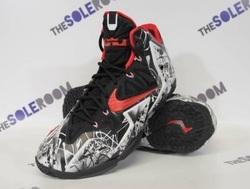 Of course like all LeBron PE's, these will not be releasing to the public. JORDAN CP3 VII "ALL STAR"
JORDAN SUPER FLY 2 "ALL STAR"
NIKE KD 6 "PURE PLATINUM"
As you may have noticed, February is a very busy month for sneakerheads, and on February 22 the KD 6 'Pure Platinum' will hit retailers. It has a white upper with a black print shown on the 'Away II'. 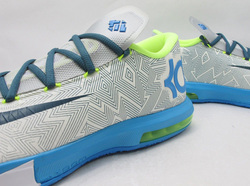 It has a Vivid Blue outsole, KD logo, and the 35 on the tongue. Then shows a Volt air unit, inner lining, and fly wire. The shoe tops it off with Night Factor Nike Swoosh and laces. The shoe gets it's name from the Lebron 10, Air Jordan 9, and other Nike and Jordan basketball models. Add this shoe to your calendars because it's coming soon. 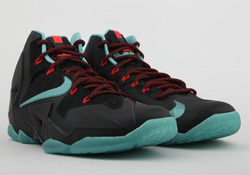 NIKE LEBRON 11 "DIFFUSED JADE"
Another Nike basketball signature model is scheduled to release on February 22. It is called the Lebron 11 'Jade Glaze'. As you can see, in the title above. The official colorway is Black, Diffused Jade, Light Crimson, and Jade Glaze. 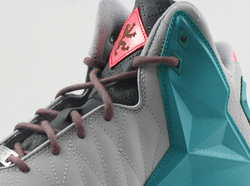 We have never seen this type of colorway, and looks like it's going to stand out. The upper is all black, with a very popping Jade Glaze translucent outsole. Only a week after the Lebron 11 'All-Star' or 'Gator King' release on February 14, are these going to sit on shelves or sell out quickly? I know I'm going to be looking to cop my first Lebron. Tell us what you think. NIKE LEBRON 11 NSW "BHM"
Do you like gold? This shoe has a lot of it, all over the upper. The white midsole will make it stand out even more. The black laces, inner lining, and a patch on the tongue will complete the look. Nike's black history month pack has a bunch of shoes for every type of person. 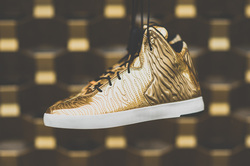 The Lebron 11 NSW Lifestyle will be releasing with all the others on February 1st. Nike has made a good impression releasing a good amount of shoes for this pack. NIKE LEBRON 11 EXT "DENIM"
Here we see another LeBron 11 EXT but this shoe takes more of a Lifestyle version of the LeBron's 11th shoe. 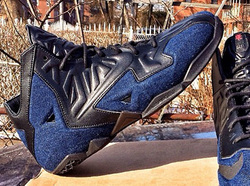 We don't see the LeBron 11 NSW EXT silhouette, we see a denim and leather version of the LeBron 11. Check back with us to see more news for these. NBA 2014 ALL STAR PACK "NOLA GUMBO LEAGUE"
Two weekends, the biggest stars in the NBA will attend NBA All Star Weekend at New Orleans for 2014. The All Star shoes will be displayed in the "NOLA Gumbo League Collection." Here we see that Nike as finally released official images on their All Star Pack. 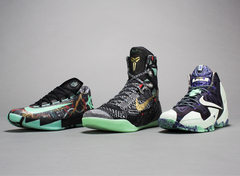 The pack includes the KD 6 "Illusion", the LeBron 11 "King Gator" and the Kobe 9 Elite "Maestro." This will also the first time the Kobe 9 Elite will be in a pack with the rest of Nike's Signature Athletes. These are set to release Friday, February 14, 2014. Here Kobe is wearing the Kobe 9 for a Nike Ad! You can see how much of a high top the Kobe 9 is! It's not as high as it looks in pictures! We can not wait for the Kobe 9s to release! What are your opinions on the Kobe 9? Today our CEO got a custom shoe from Nike iD! Go check it out on his YouTube Channel. The shoe is inspired off his schools basketball team, which explains the different blues and white! Tell us what you think of the shoe! KD 6 NIKEID "BLUE SEA"
LI-NING WAY OF WADE 2 "BIRTHDAY"
Today at Suplex Philadelphia, their store in Philly, had limited pairs of the Li-Ning Way of Wade 2 "Birthday." These dropped at 3pm January 16th 2014 for Wade's 31st birthday! Dwayne Wade was also at the event. The whole shoe has hits of 3m! 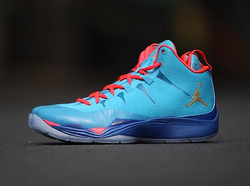 Li-Ning as had a lot of success with all the Li-Ning sneakers they've released in America. CEO/Founder- I was going to pick up this shoe today but I got caught up in school! I really liked the fact the Dwayne Wade showed my Philly some love today! It would have been nice to have met him! I really like what Li-Ning & Way of Wade are doing! Can't wait to see more from them this year! If you follow us on Instagram, you must be familiar with this segment. This segment shows you what your NBA Players wore on court that week! 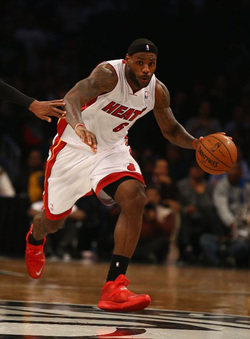 This week we see LeBron James wear his Zoom Solider PE's, against the Brooklyn Net. We see LeBron wearing the Soldiers because LeBron has an issue with the LeBron 11 in the toe box area. It's great seeing LeBron in a shoe that affordable for a lot of people, so kids can see him wearing that shoe, and they'll think they will be able to play like LeBron if they have his shoes. I know this happened with kids when they saw Micheal Jordan play. Stay tuned for more NBA Kicks Recap! We will also have a page dedicate for NBA Kicks Recaps. Follow us on Instagram to see more NBA Kicks Recaps! 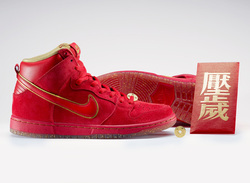 NIKE SB DUNK HIGH "RED PACKET"
For those who celebrate Chinese New Year, the Red Packets are a sign of immediate good fortune. You can see the shoe features a rich, all red upper, and hits of gold on inner liner, swoosh, lace tips & gold glitter in the translucent outsole. You can guess to see this around the Chinese New Year, which is early February. NIKE LEBRON 11 NSW LIFESTYLE "MIAMI VICE"
Now we've seen the LeBron 11 & NSW Lifestyle take on color ways of LeBron's Miami home. We saw the "Miami Nights" color way and now the "Miami Vice" color way! We see the pink & blue on the shoe, that a lot of people know from the LeBron 8 "South Beach." Follow us on Instagram for more pictures of these! NIKE KD 6 SUPREME "FLORAL/AUNT PEARL"
The KD 6 "Aunt Pearl" or "Floral" is a continuous color way/theme that was used for the KD 5 last year. 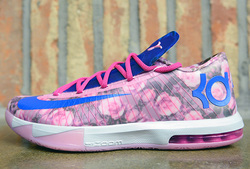 Last years Aunt Pearl theme had a white base with 3m along the whole shoe, with floral prints in selected spots. This years Aunt Pearl, the floral theme is on the base of the shoe. Stay tuned for a release date around Spring Time. Check out our release date tab to see what is releasing next! Here we see a preview of what to come with Li-Ning Way of Wade Line for 2014. In Miami, they set up a Li-Ning Yacht to show off some of the new colorways for the Way of Wade 2's. It was also Dwayne Wade's birthday! One of the new color ways for the Li-Ning Way of Wade 2, was a color way seen on the Way of Wade 1. The color way is the "Team No Sleep" theme. 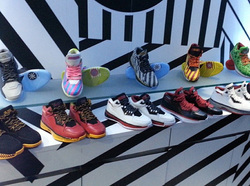 Stay tuned for more from Li-Ning and Way of Wade! The Adidas D Rose 4.5 will release on January 30th, 2014 in three colors. The price is the same as the Adidas D Rose 4.5. Unlike Nike when they do the Elite models they up the price a lot! In this case Adidas didn't do that. Maybe it's because D Rose isn't playing. Stay tuned for more color ways for the Adidas D Rose 4.5. The price of the Adidas D Rose 4.5 is $140. The LeBron 11 "Graffiti" will be the first LeBron 11 to release in 2014. We saw pictures of these before the Miami Nights were released! Everyone was wondering when these were going to release. Some people got a pair! We will be seeing these release on January 25,2014 (checkout our Release Date Tab for more info) since these have black, white & red, we hope to see LeBron actually wearing one of his release shoes on court! 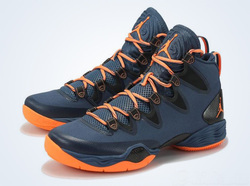 AIR JORDAN XX8 FOR SYRACUSE OR BOBCATS? 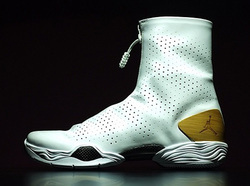 QYet another colorway for the Air Jordan XX8. We have seen a Bobcats Jordan 10 realease this week so is this the next shoe to get a Bobcat color way? We've seen Jordan Brand do these packs, as an example the The Fresh Prince of Bel Air. 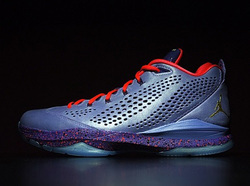 The shoes in the pack where the Jordan XX8, CP3 VII, and the Jordan 5. Follow us on Instagram and Twitter for more info on these. 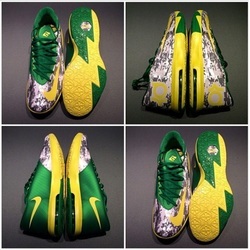 Awhile ago, we saw these Oregon Ducks PE's KD 6s, and Hyperdunks. A lot of people were wondering where to buy these or get these. We have no information about these releasing. There is a higher chance of these never releasing, they are a PE for the Oregon State Basketball Team. 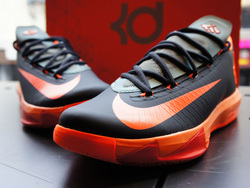 Nike as been releasing a lot of Oregon State shoes so there is a possibility of these releasing in the near future. 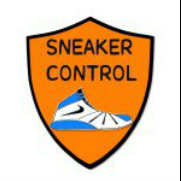 Welcome to official Sneaker Control Website!